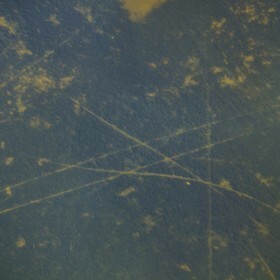 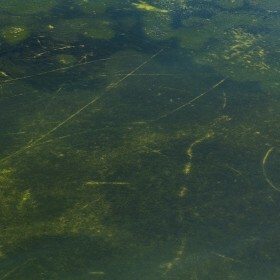 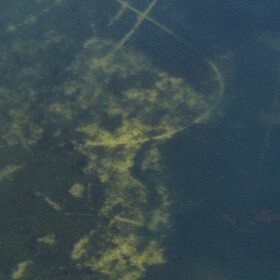 The extent and the look of seagrass scarring. 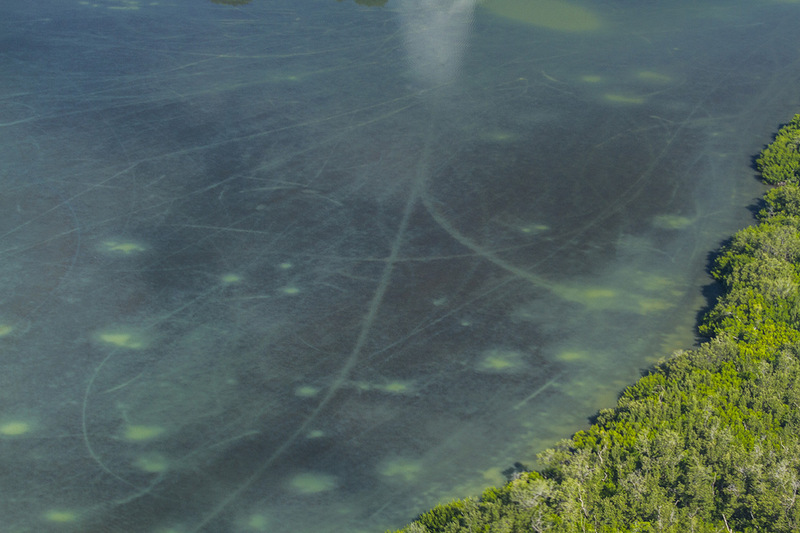 The bad news is the current extent of the damage is considerable throughout Florida, especially in high traffic areas nearby channels, marinas, residential areas, and urbanized areas. 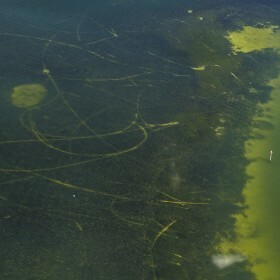 The good news is it is 100% PREVENTABLE. 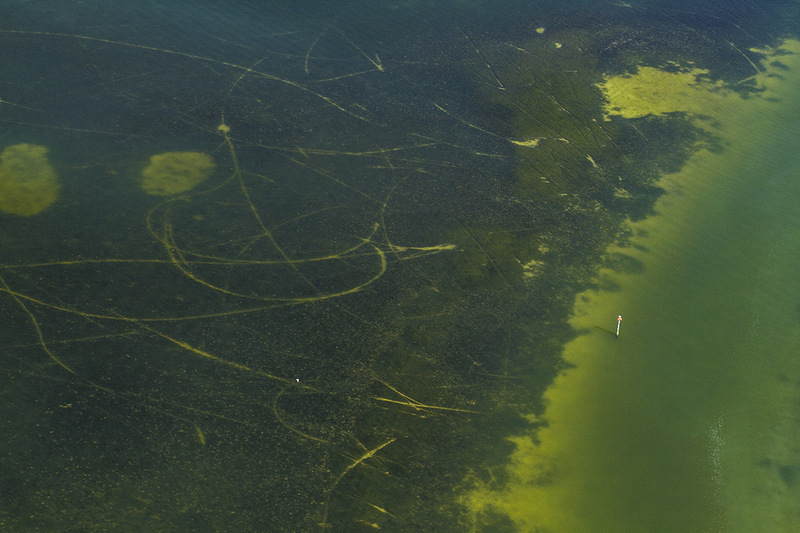 By simply learning good, common sense boating habits and etiquette, boaters can easily slow the damage and, in time, reverse it. 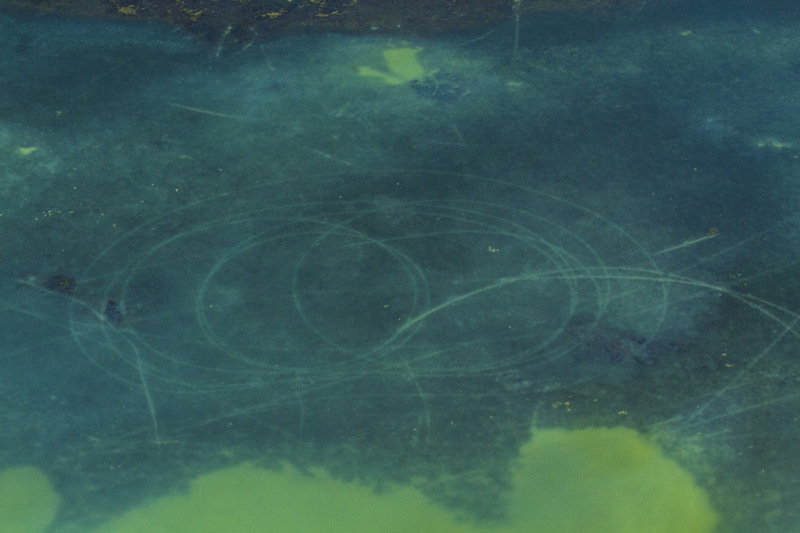 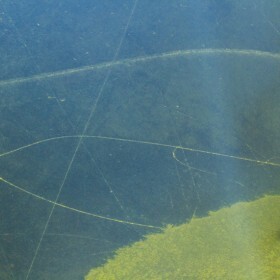 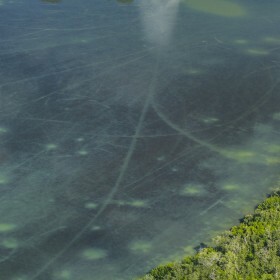 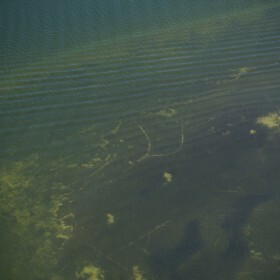 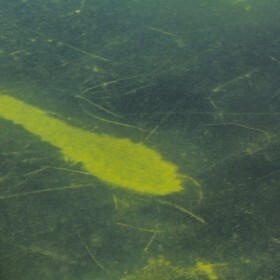 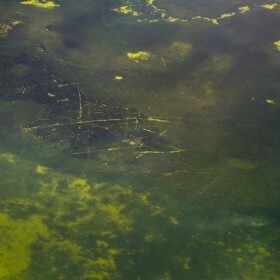 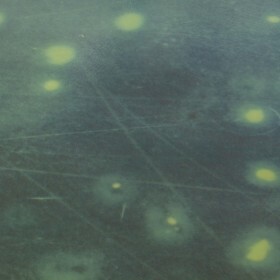 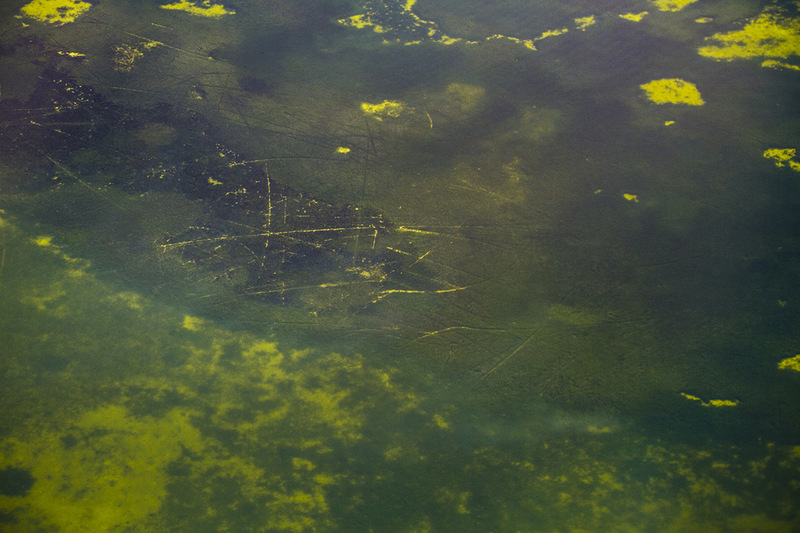 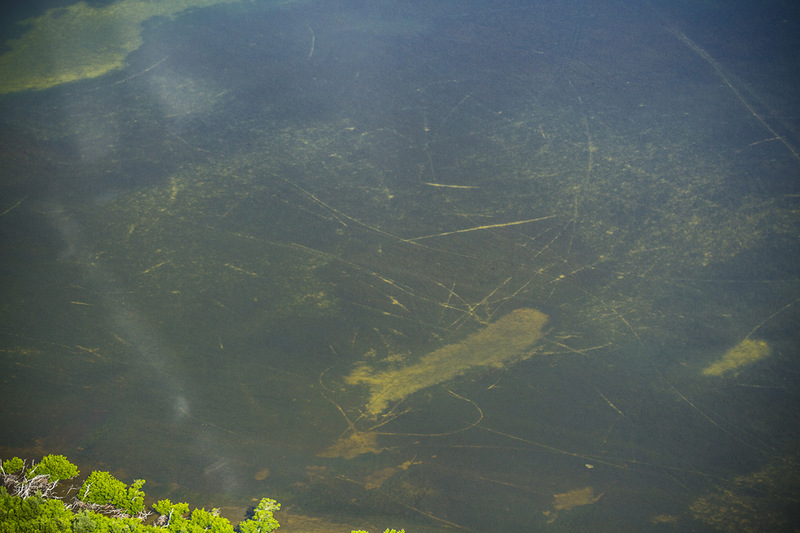 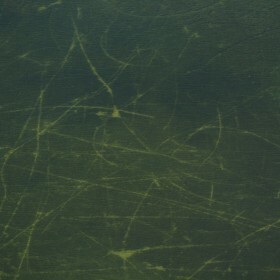 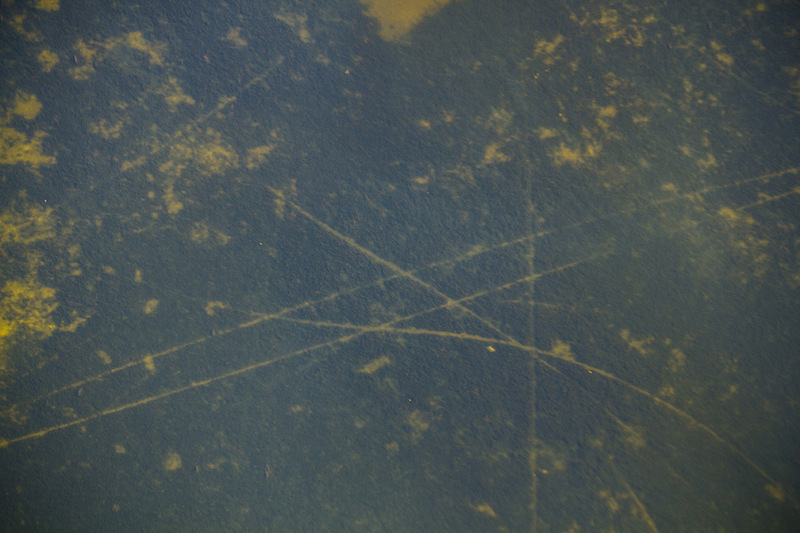 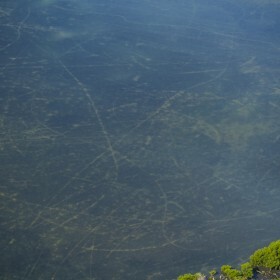 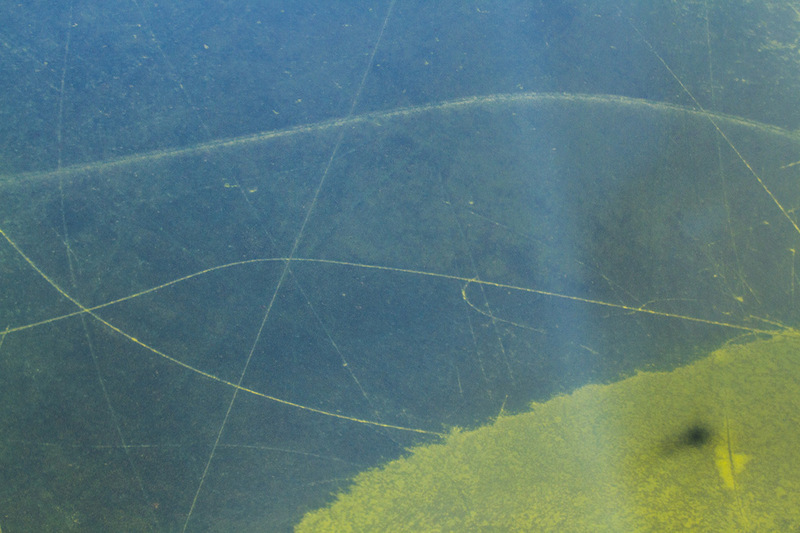 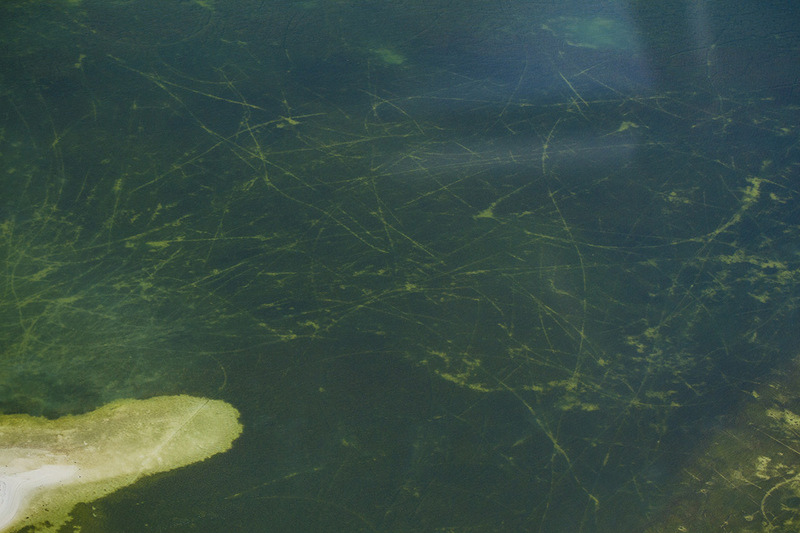 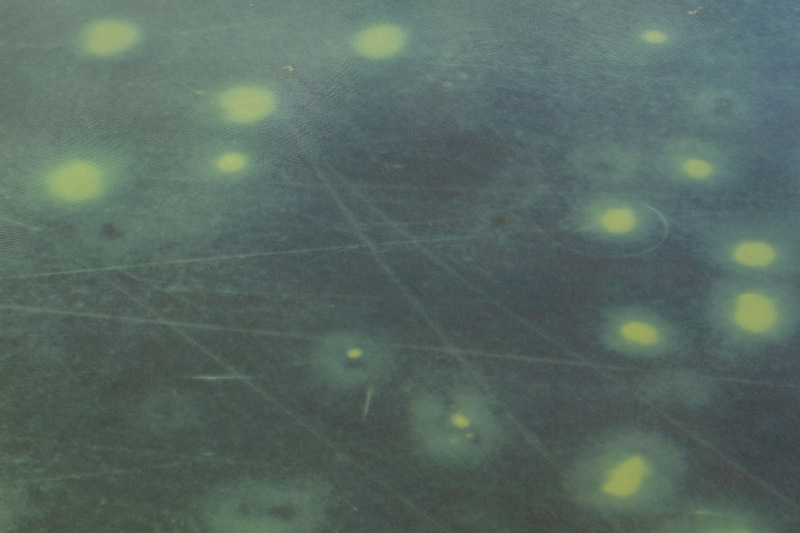 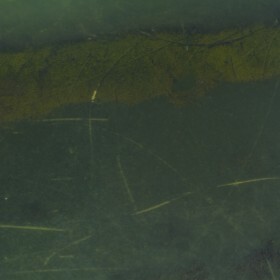 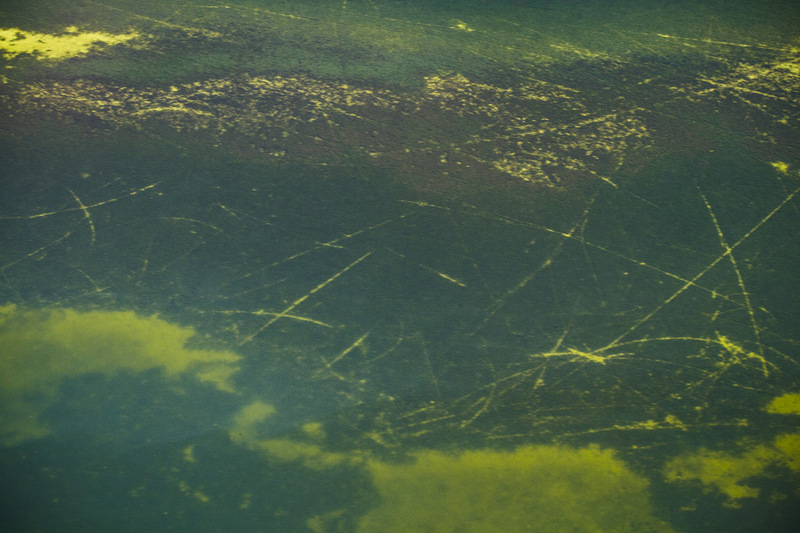 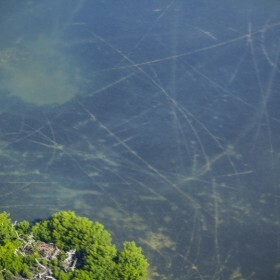 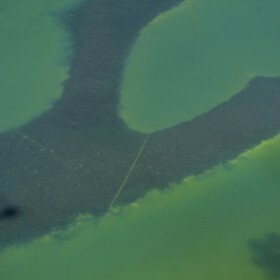 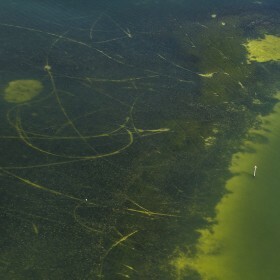 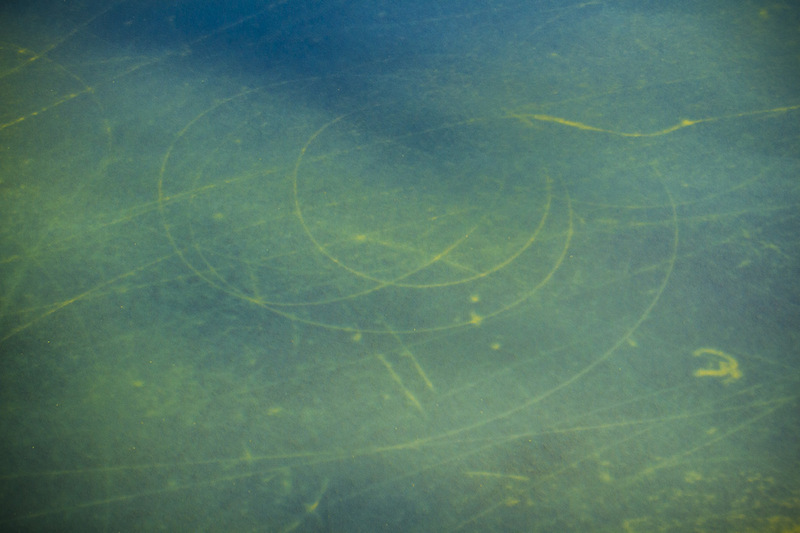 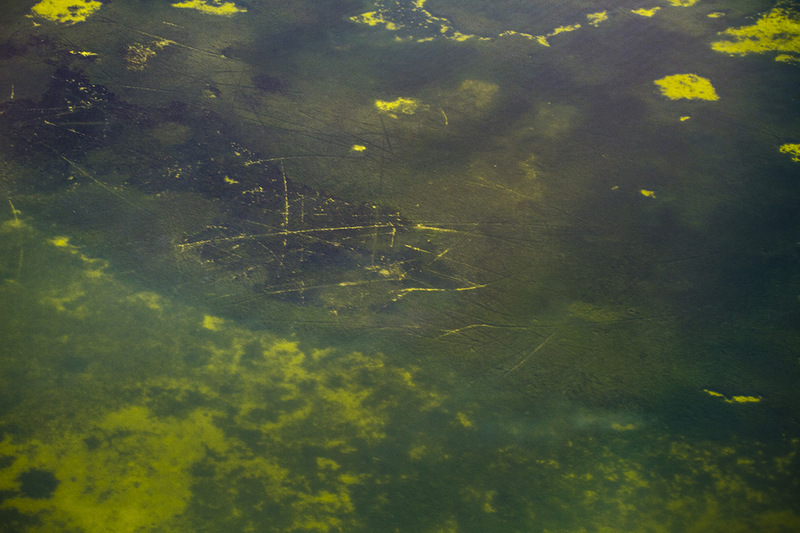 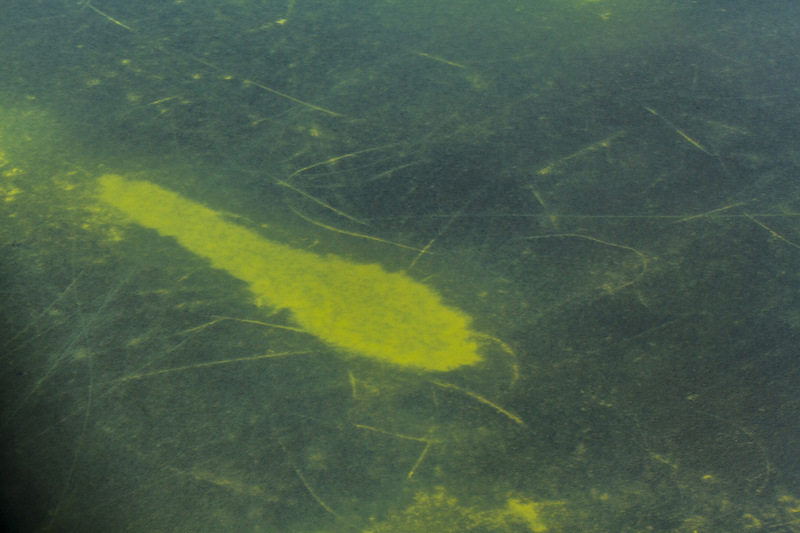 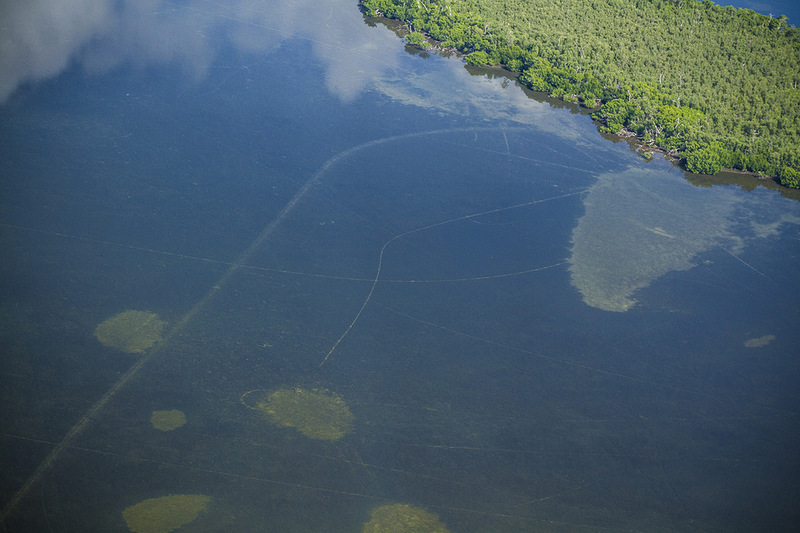 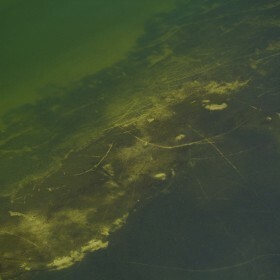 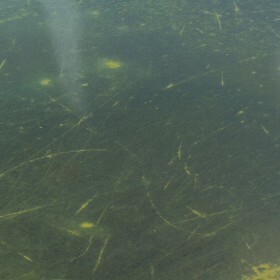 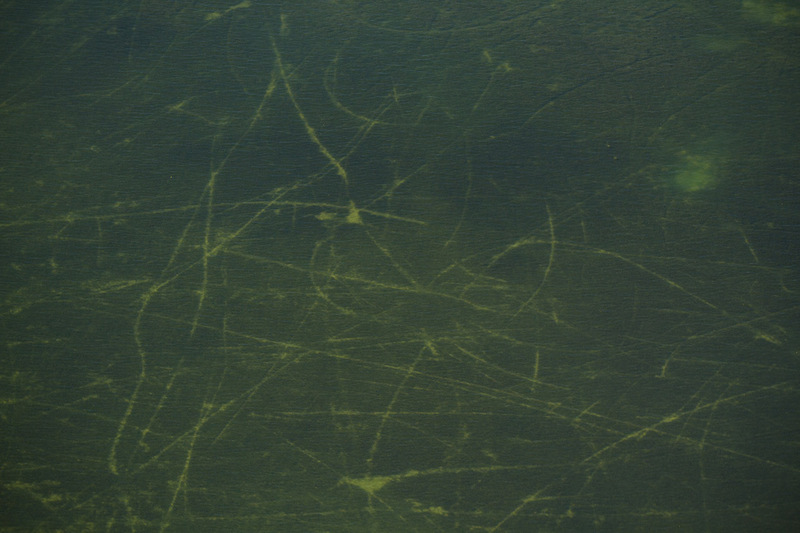 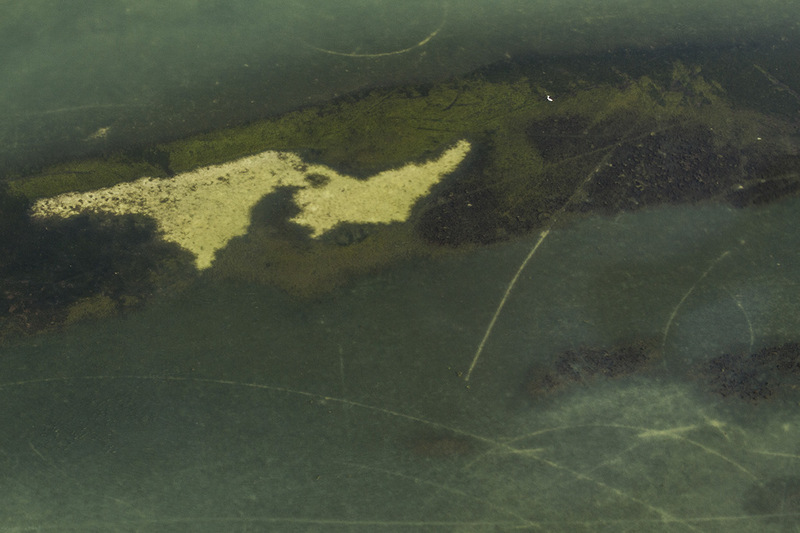 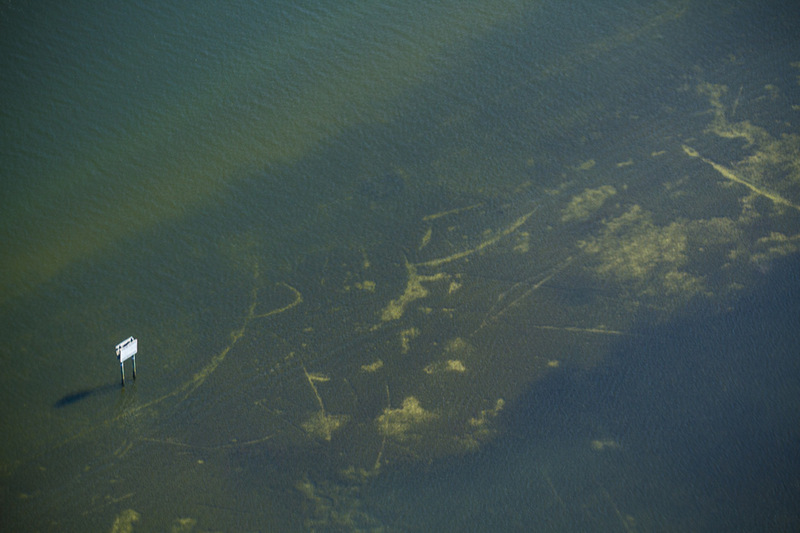 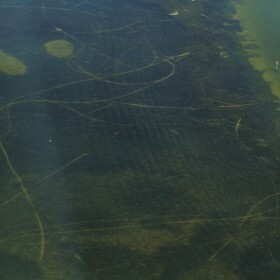 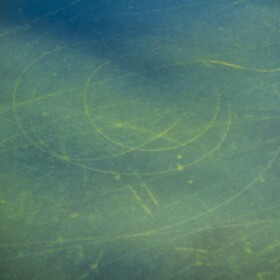 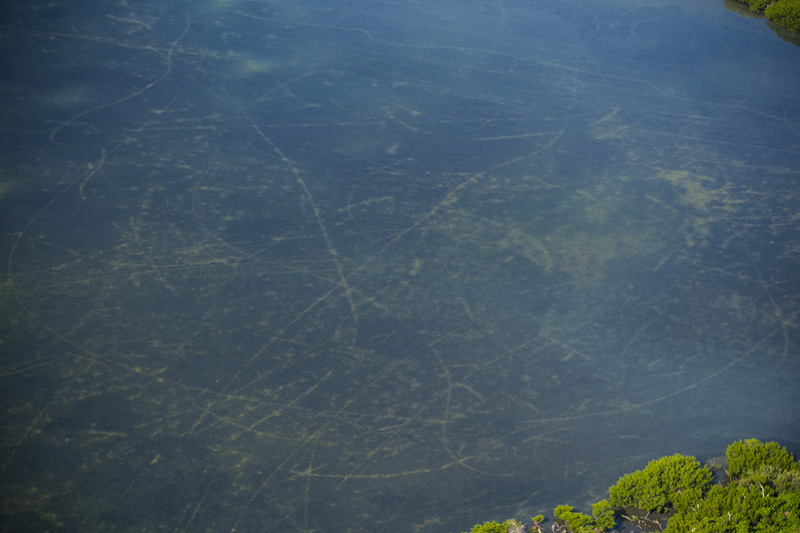 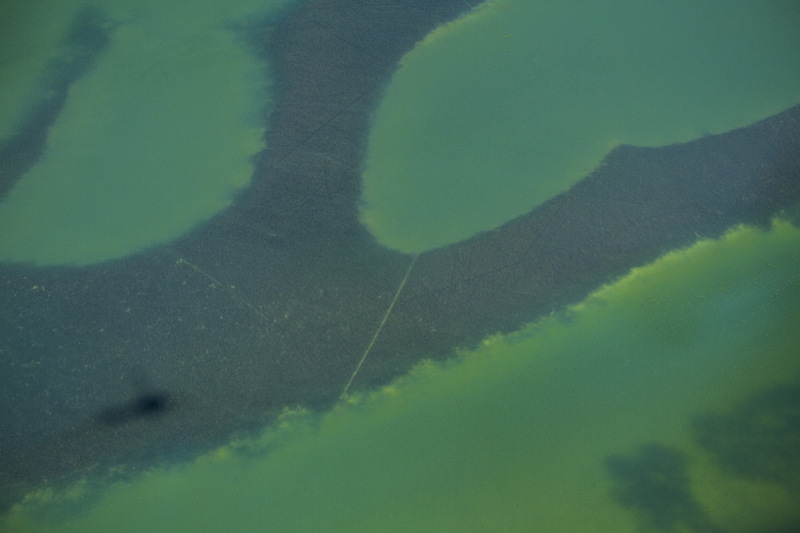 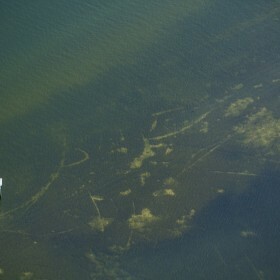 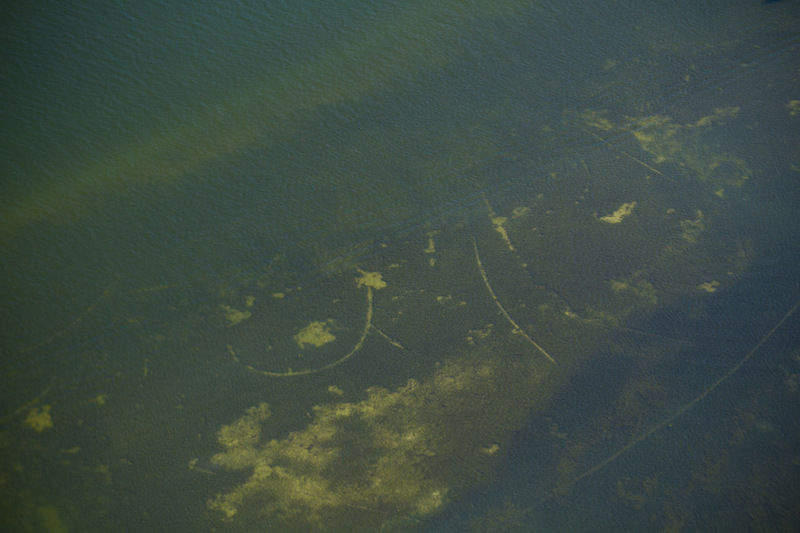 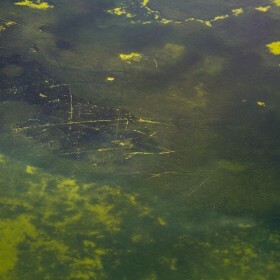 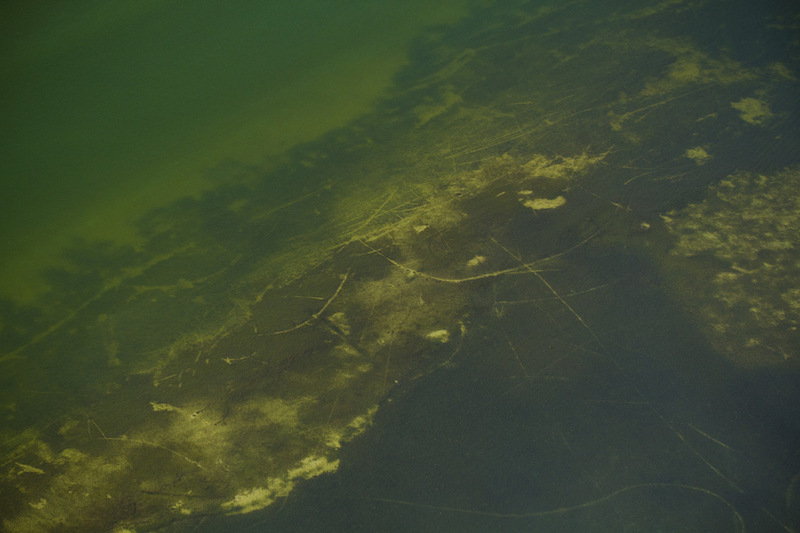 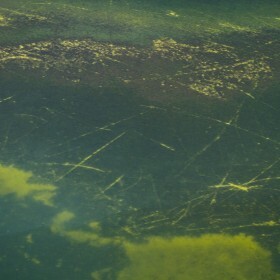 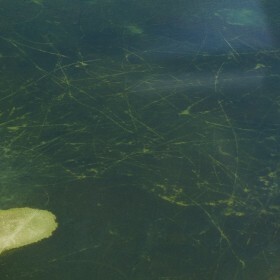 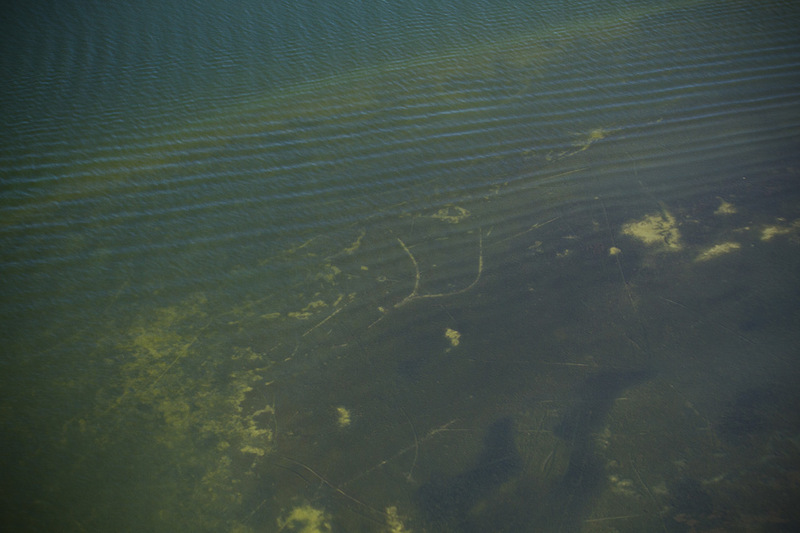 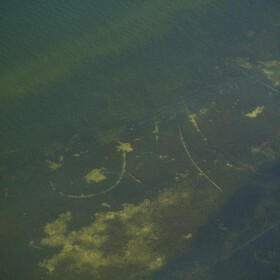 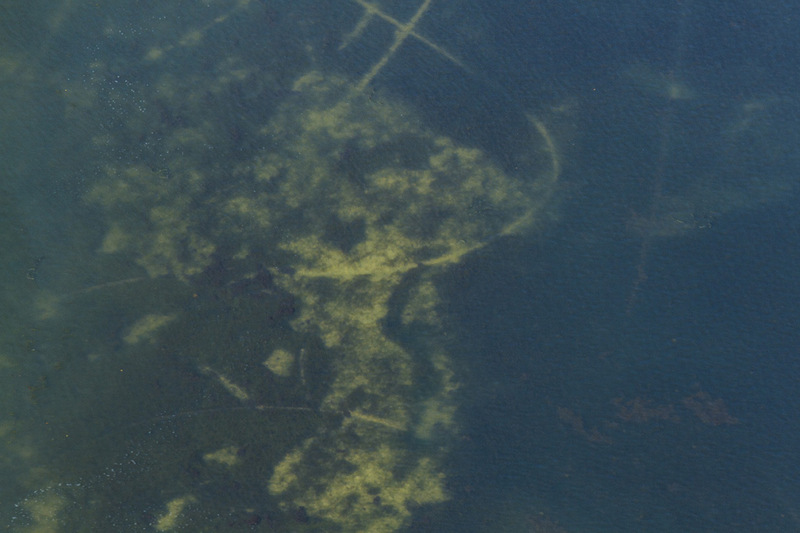 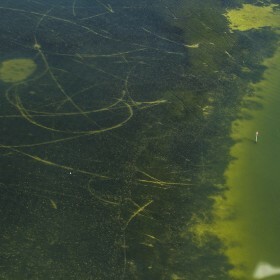 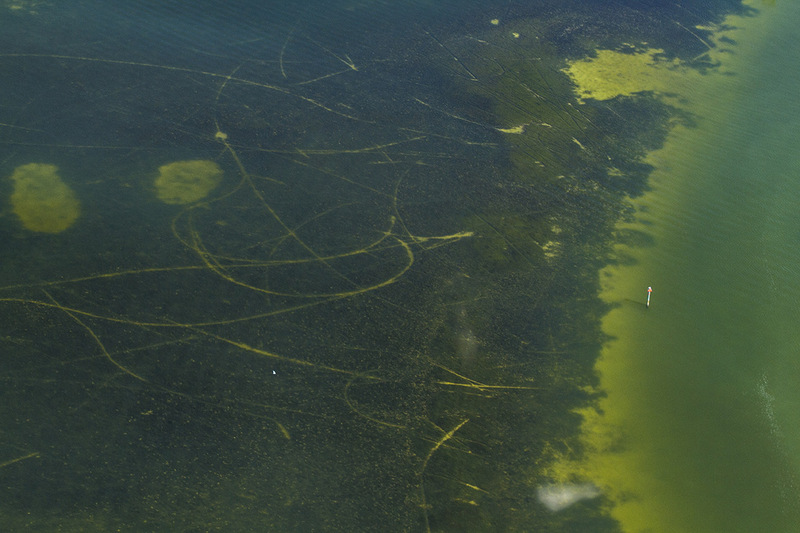 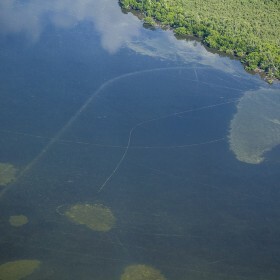 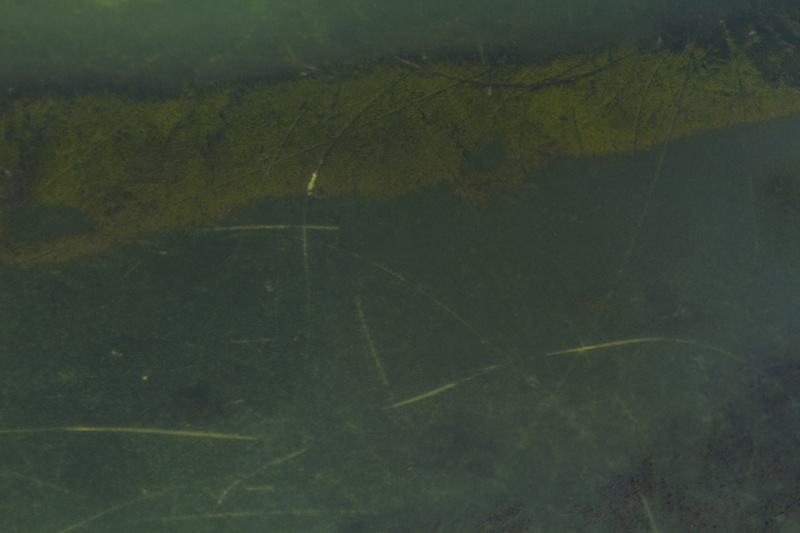 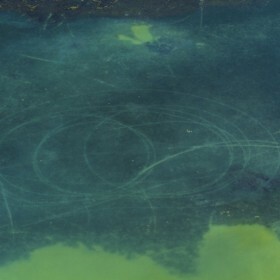 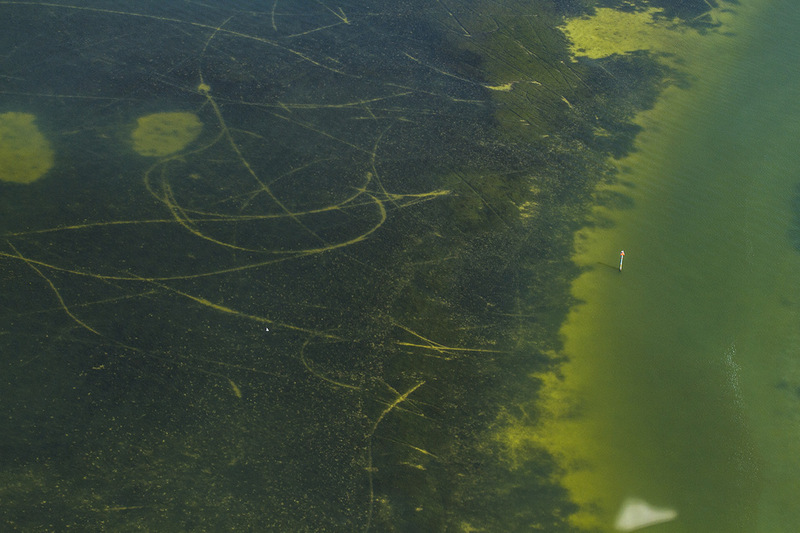 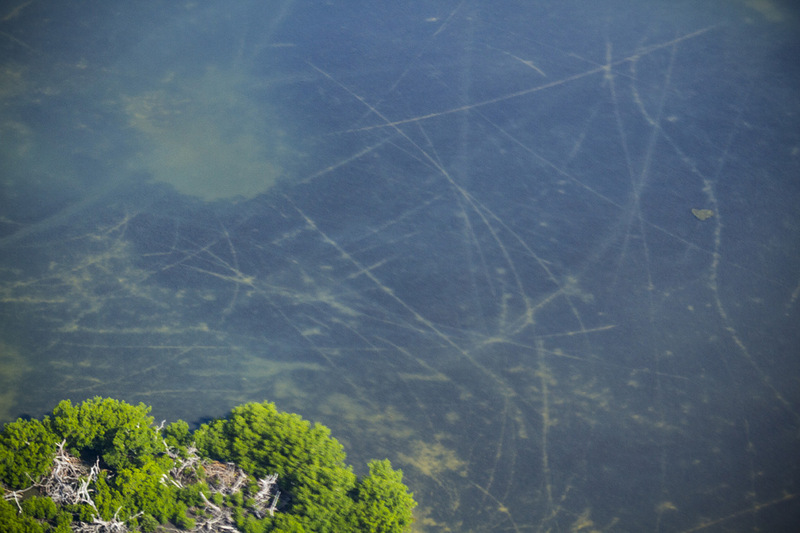 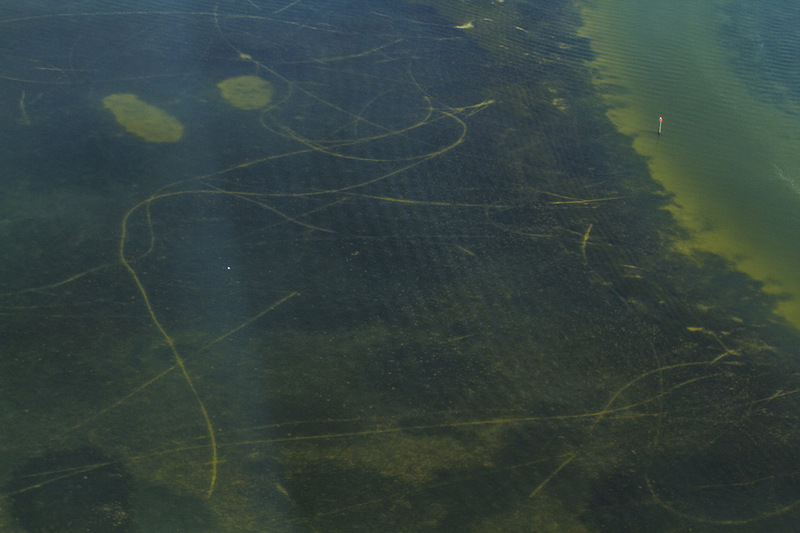 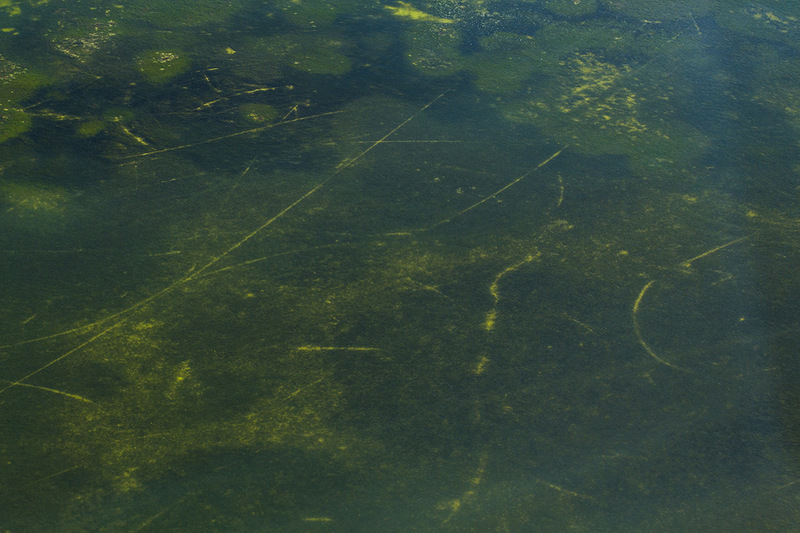 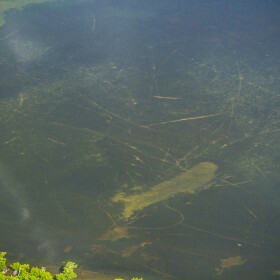 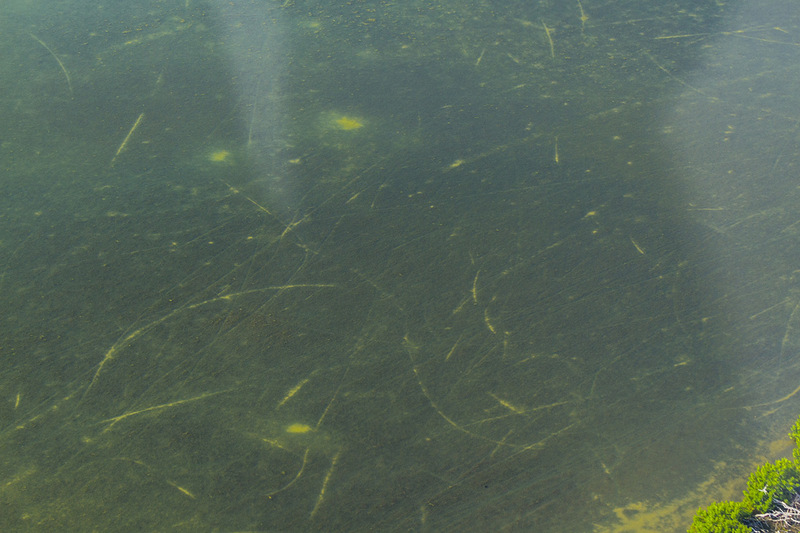 The look of scarred seagrass areas is very evident from the air. 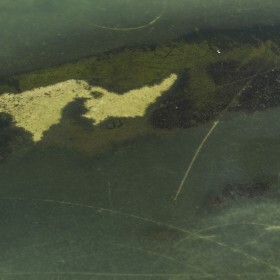 But as most of us seldom have this point of view, it helps to know how to spot the areas of damage from a closer vantage point.